Uyuh Suwanda was the founder of the Mande Muda system and the father of Herman Suwanda, the current head of the system. Bapak Uyuh passed on in 1989. The Mande Muda school of Pencak Silat was formed in 1951 in Bandung, West Java, Indonesia. Like the traditional Pencak Silat the teaching was not open to the general public. 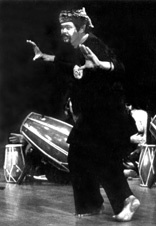 Bapak Uyuh studied 17 styles of Pencak Silat until his marriage to Mimi Rukmini, who came from and practiced Cimande. Together they taught Pencak Silat to their family and friends. The word Mande come from Cimande. Bapak Uyuh used this name because he believed Cimande was the original Pencak Silat from West Java. He removed the "Ci" because his system taught more than just Cimande. The word Muda means young or new. Mande Muda is like a young child, always growing and looking for new Silat material. combat. Eighteen styles, including the Cimande from my mothers side, (at the present there are 25 styles within Mande Muda) combined to make one method of fighting and this is what makes Mande Muda unique and rich with knowledge. The main principle of Mande Muda is to continue to grow as a practitioner. Only death can stop your growth and study in Mande Muda. Another principle is waiting, Bapak Uyuh believed it was better to answer the question of attack rather than ask it. His definition of asking a question was your attack to the person, if the person gives you a good answer you will be on the ground. A good answer will leave the person or attacker unable to ask another question. 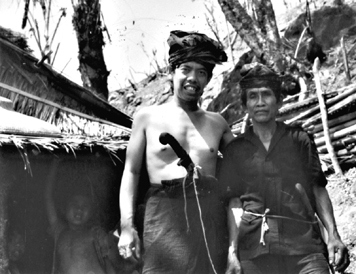 Until his passing in March of 2000, Guru Besar Herman Suwanda was the head instructor of Mande Muda. He began his personal study of Pencak Silat under his father in 1960. In 1965 he began to study under other Pendekars and continued his studies up until the time of his death. He began teaching in 1974 in Indonesia and then traveled to The United States to teach in 1980. His determination allowed this dynamic art to spread to many countries outside of Indonesia. His sister, Guru Besar Rita Suwanda, continues to carry on his dream, by conducting seminars and training camps throughout America and Europe.